Picture Accepted Into a Book! I got a photo accepted into the book the photography Meetup.com group I belong to is putting together! A selection committee went through submissions from different members of the group. Thank you for choosing one of mine! 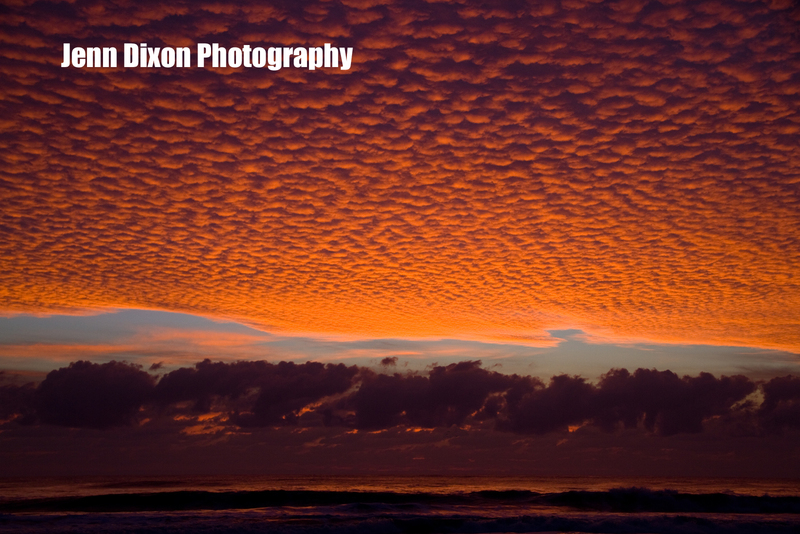 This is a photo of the a sunrise in the OBX from this past October. I adore the clouds. As I’ve said before, it’s well worth getting up before dawn down there. The sunrises are spectacular. That is a great photo of a sunrise. Congratulations for having your photo chosen! It shouldn't come as a surprise since this is spectacular.